That Thorney Island became a military base stems from an accident. On 25 September 1933 a Hawker Fury biplane crashed there, killing the pilot. When Air Ministry officials inspected the scene they realised that Thorney Island was well suited for an airbase. Throughout World War Two it was used for bombing, reconnaissance and coastal patrol operations, however, in 1976 the RAF closed it down. During the late 1970’s Thorney Island was used by the so-called Vietnamese Boat People, refugees from the Vietnam War. In 1982, the Royal Artillery took over the island and have operated from here ever since. 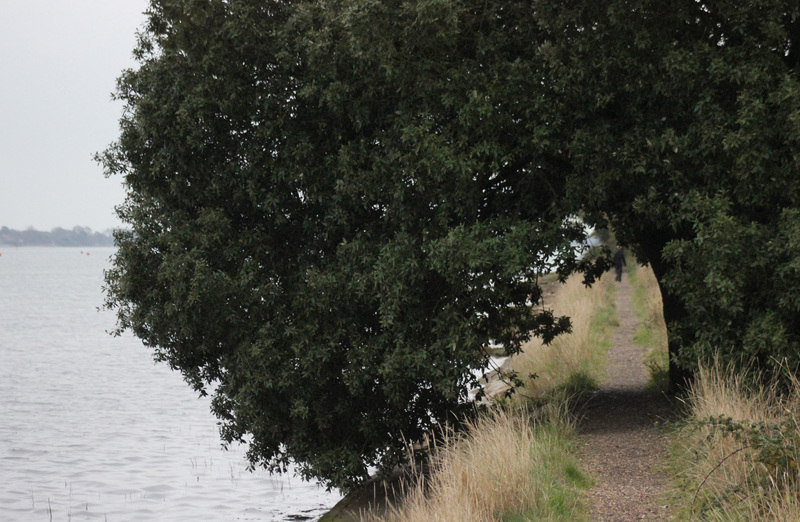 The walk around Thorney Island is flat, lonely, and actually very pleasant. Because the right of way skirts around the edge of a military base, there is little option but to walk the full 7 miles around it. Very few people seem to use the path, and that suited us just fine. On the eastern side of the island we passed an interesting tree which had grown over the footpath and formed itself into a natural arch. Just beyond this tree was West Thorney, a small village. Its church, St Nicholas, is the only part of the island (apart from the footpath) which is open to the public. 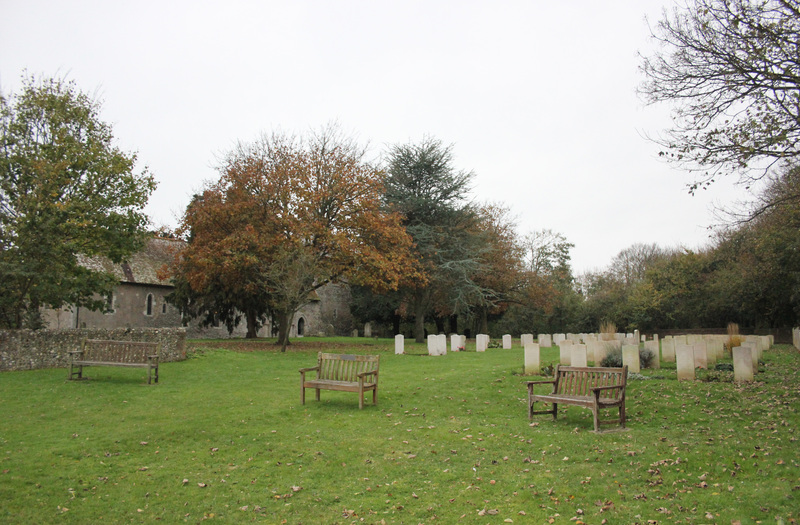 As may be expected, many of the graves in the churchyard hold those killed in the Second World War. 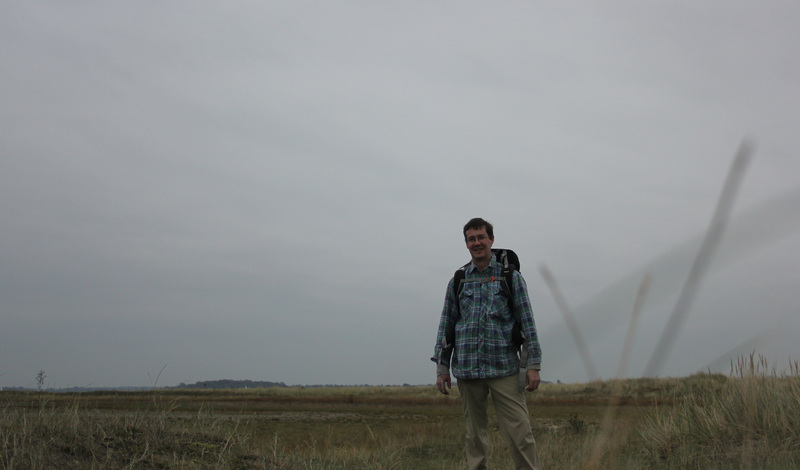 Shortly after leaving West Thorney we reached the southern tip of the island, Longmere Point. Whilst our footpath curved round to the west, another led south, across some sand dunes towards Pilsey Island. Pilsey Island is a bird sanctuary, and in fact is not an island at all anymore, for the channel separating it from Thorney Island has now silted up. I decided to detour south quickly, to see if I could set foot on it before returning to our route. I splashed through the wet sand and over the dunes, picking my way carefully; the others decided not to come and set off west. I couldn’t tell what was Thorney Island, what was Pilsey Island, and what was in between. In the end I put my camera on a bit of driftwood and took a self-photo, just in case I had made it to Pilsey. When, later, I looked up where I had reached I realised I was a long way short! Pilsey Island lay a third of a mile to my southwest. I picked up my gear and hurried off back across the sands to join the others. This entry was posted in Islands, West Sussex and tagged coast, Pilsey Island, Thorney Island, travel, walking, west sussex, West Thorney. Bookmark the permalink.